TV Talk: BREAKING BAD 5.02 “Madrigal” | Birth.Movies.Death. We finally get our Mike episode. Before we get into the actual episode, I'd like to address something Henri discussed in his great premiere post last week: the Breaking Bad flash forwards. Henri hates them, and while I generally find flash forwards to be the cheapest and most pointless method of storytelling, I love them on Breaking Bad. Partly because Breaking Bad is an exercise in storytelling turned on its head, and each rule the writers and directors break is one more example of this show's righteous defiance to do anything the way a show is "supposed" to do. The frequently gimmicky camera angles, the flash forwards, the unsympathetic characters, the black and white presentation of morality - Breaking Bad is determined to skew everything we thought we understood about good television, and it's going to do it very well. But I believe there's a more specific justification in the case of the flash forwards. The story of Breaking Bad is one of inevitability. There is no way to spoil this show more than we were spoiled in the very first episode. The most oft-quoted line about Breaking Bad is creator Vince Gilligan's intention to take Walter White "from Mr. Chips to Scarface." Gilligan announced his endgame before we even started to play, and he isn't going to deviate from it. The destination is foregone; it's Walter's subtle but inexorable journey toward darkness that keeps us invested. The flash forwards serve as a reminder of that fact - Gilligan has a plan, and he's not changing it for the audience or for a chance to keep the show running longer than its originally intended five seasons. No matter what slight detours arise along the way, we need to resign ourselves to the inevitable. We all know how Scarface ends. Spoiler alert - it ends badly. This week's episode was directed by Breaking Bad regular Michelle MacLaren and written by Gilligan himself, and it offered our first Mike-centric episode in the series' run. And it's about time, no? Mike is one of the most fascinating characters on Breaking Bad, a study in neutrality and machine-like efficiency. 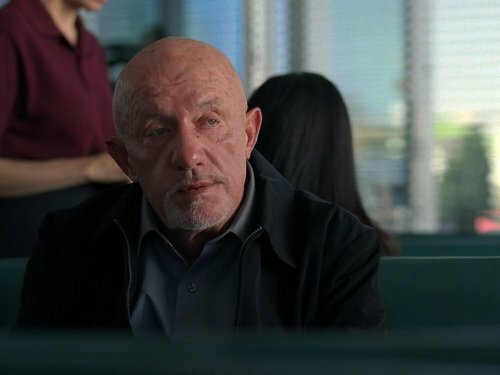 And Jonathan Banks' performance is outstanding, wrought with understated power. Mike's motivations have always been something of a mystery on the show, and this week we learn a little more about what drives this inscrutable man. It turns out that Los Pollos Hermanos is owned by a German company named Madrigal, and the DEA is laying the heat on it. As always, Walt's self-centered actions have consequences that travel far beyond his own circle, and now that Gus is dead, every one of his carefully maintained secrets are bobbing to the surface. 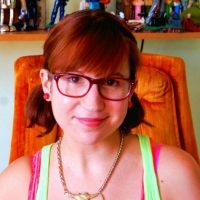 A high level employee of Madrigal who funded Gus' operation, Peter Schuyler, has committed suicide. Eleven men in Gus' close circle, men connected to Los Pollos Hermanos, Madrigal or the laundry service, are being closely investigated by the DEA, and the secret bank accounts Gus arranged for them in the event of exposure have already been co-opted by the government. A mysterious woman named Lydia (who orders tea like she's Sally Albright) meets with Mike in a diner and asks him to kill each of those eleven men before her own connection to Gus is exposed. Mike, however, refuses to "kill eleven people as some sort of prophylactic measure," and Lydia panics. Meanwhile, Hank and Gomez are putting the lean on Mike something fierce, who remains unsurprisingly stoic. Mike has a ten-year-old granddaughter named Kaylee who appears to be his raison d'être. Hank offers Mike a clear way out, even a way to keep some of the drug money Mike's squirreled away for his granddaughter's future. So why doesn't Mike turn Walt over to the DEA? He despises the man and understands like no one else (except Skyler, it would seem) that Walt is trouble, a ticking timebomb from whom any man with sense should flee. But once Lydia attempts to have Mike murdered - clearly unaware that Mike is the man and nobody gets the drop on him - Mike opts not to kill the single mother. Instead, he asks her to provide a source of the recently scarce methylamine so he can team up with Walt and Jesse's new operation and try to claw his way out of this dangerous mire. It's clear that it's simply antithetical to Mike's nature to rat on someone, even someone he loathes. Even someone he fears. It looks like Mike will be around after all when that bomb goes off, despite his best efforts to the contrary. Skyler spends the entire episode silent in bed, and Anna Gunn gives a tremendous performance, conveying terror and resignation with only her eyes. She finally has the full measure of who Walt is, and it's too late for her to disentangle herself from his terrible destiny. He tells her it will get easier, that "As long as we do what we do for good reasons, then there's nothing to worry about. And there's no better reason than family," as he covers her back and shoulders with unwanted kisses. The scene is fraught with dread and Gunn sells the hell out of it. It's about time she and Banks get their own Emmy nominations, right? Finally, Hank has a bit of a triumphant week, walking without assistance and receiving unanimous praise for his superb detective work in uncovering Gus' operation. But as his recently fired boss talks about having Gus over to his house for the fourth of July, we see something alight in Hank's eyes. "He was somebody else completely. Right in front of me. Right under my nose." As Hank grows steely-eyed, it's more certain than ever that he will continue to pull at the threads until he has discovered the truth about his brother-in-law. How will Hank's new boss affect the case? I have a feeling he'll be a hindrance, but he might just be astute enough to give Hank the latitude he needs to solve this thing. Where will Walt and Jesse's new lab be located? I can't wait to see the new set, although I miss the Crystal Ship as much as Jesse does. In what way was Lydia connected to Gus? How important a figure will she become this season? Tune back in next week as Devin takes it away. I'm curious to hear how he feels about the flash forwards of Breaking Bad.